For more than a century, the USC School of Pharmacy has sparked innovation and excellence in the field. The school has created forward-looking educational programs, established a national model of clinical pharmacy through its work serving at-risk communities, advanced therapies that have yielded tangible improvements in people’s lives, and helped pioneer the transition of the pharmacist’s role from a dispenser of medicines to a direct provider of patient care. One of the top 10 pharmacy schools nationwide and the highest-ranked private school, the USC School of Pharmacy continues a century-old reputation for innovative programming, practice and collaboration. “The "Trojan Family" is not just a term, it is a reality. By joining the USC network, you not only gain a "pharmily" but also gain brothers and sisters within other professions including medicine, occupational therapy, law, business, and social work. You have access to the smartest, most imaginative and capable minds, and upon realizing this power and potential, the opportunities are endless." Founded in 1905, the school created the nation’s first Doctor of Pharmacy program, the first clinical pharmacy program, the first clinical clerkships, the first doctorates in pharmaceutical economics and regulatory science, and the first PharmD/MBA dual-degree program, among other innovations in education, research and practice. USC has played a key leadership role in both the advancement of the field of pharmacy and in the education of new generations of pharmacists, and remains one of the nation’s foremost schools of pharmacy today. “At no other institution will you be afforded as many opportunities to exceed the norm and achieve things you've only dreamed of. USC helps shape you into a leader in society and holds you to those standards always. As students we push each other farther than we would have ever given ourselves credit for and it's that drive that we can take with us moving forward." The school’s pharmacists and students lead the nation in their work in community settings, providing direct care in safety-net clinics and through numerous health fairs and other outreach to populations in need. Funded by a $12 million federal grant, the school led a project in more than a dozen AltaMed clinics that serve low-income communities, where they demonstrated that giving patients access to clinical pharmacists dramatically improves health outcomes while reducing healthcare costs. "At USC, the learning environment mixes classroom teaching with experiences through IPPEs. Students gain exposure to multiple professors and the opportunity to larn from pharmacists at rotations at hospital and community pharmacies during their first year. USC also provides students with the opportunity to get their internship license and immunization certification in their first semester." 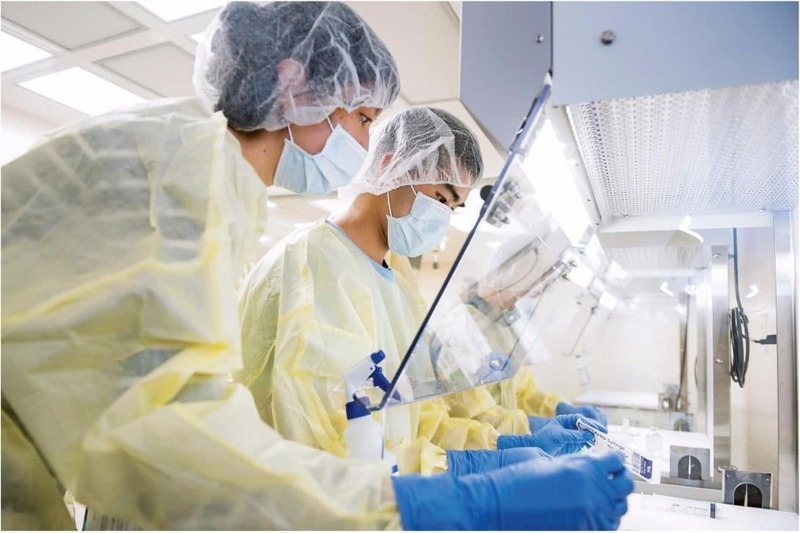 USC is the only pharmacy school that spans the entire spectrum of pharmaceutical development and clinical service — from drug discovery to regulatory approaches for safely moving drugs and medical devices to market more quickly, from the delivery of care in diverse settings to the evaluation of the impact of care on patient outcomes and healthcare costs. 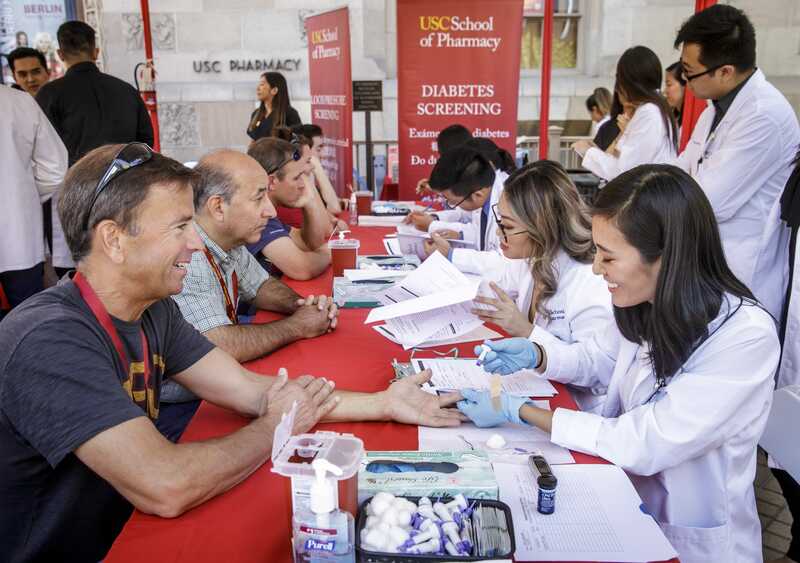 With the goal of improving health outcomes for people everywhere, the USC School of Pharmacy already has achieved an extraordinary record of firsts and remains a powerful agent of change. Join us in training the pharmacist for tomorrow! Your generosity and active involvement strengthens our community, creates state-of-the-art learning facilities, and helps pave the way for the next generation of leaders and innovators who will continue to uphold our unrivaled legacy. Together, we can advance our profession and improve treatment and care now and for many years to come. Every gift, no matter the amount, has a tremendous impact on USC Pharmacy's ability to achieve its mission.